The beginning of November brings Dia de los Muertos – the Days of the Dead. Although today this celebration is often linked to the Catholic All Soul’s Day, Dia de los Muertos has ancient roots, with particularly strong ties to the Aztec customs and beliefs. The holiday is celebrated throughout Mexico and in Mexican communities in the USA. I was fortunate to be part of a photo class that spent November 1 with the Aztec dance group Kalpulli Ketzal Coatlicue as they participated in a private Dia de los Muertos celebration near Minneapolis, Minnesota. (Later in the day we followed them to a public celebration, which will be is the subject of another post.) This celebration, held in the yard behind a small suburban home, was alive with color and movement. It was a work of art in motion. At the same time, each dance has a specific meaning and the whole event is deeply spiritual. The following is a glimpse of what the afternoon looked like. 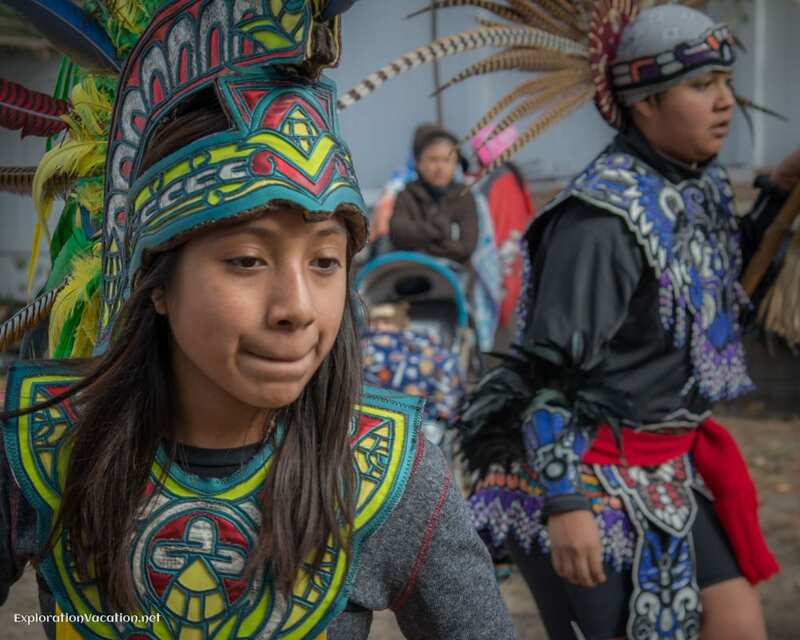 A big thank you to Susana de León and all of the dancers of the Kalpulli Ketzal Coatlicue Aztec dance group for so graciously sharing their culture and allowing us to photograph them throughout the day. Thank you also to Richard Sennott and the Twin Cities Photography Group for arranging this opportunity.